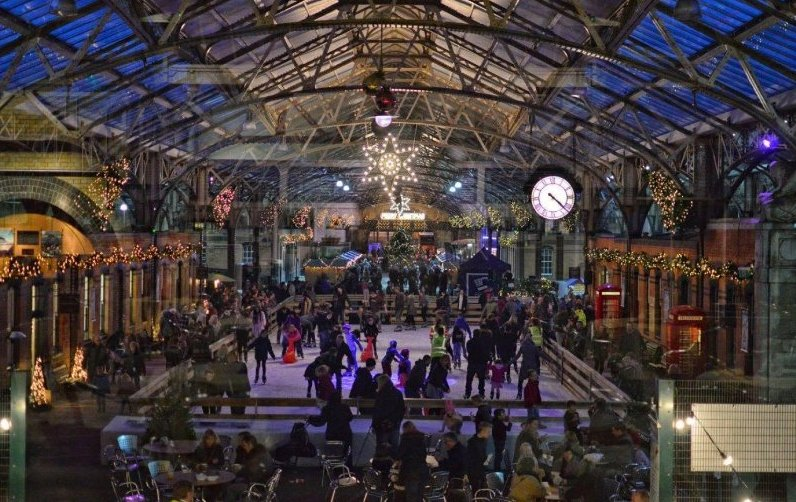 Icescape are excited to host an exciting winter wonderland-esque event this winter. 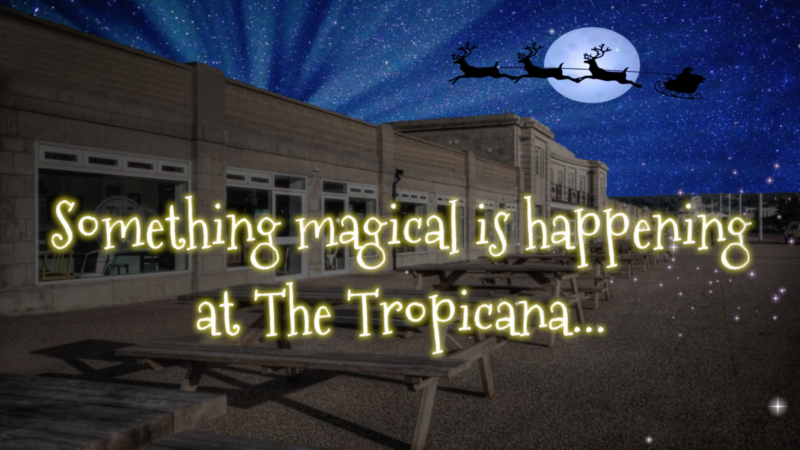 Located in Weston-super-Mare, at the iconic Tropicana location which has sadly gone unused for many years. 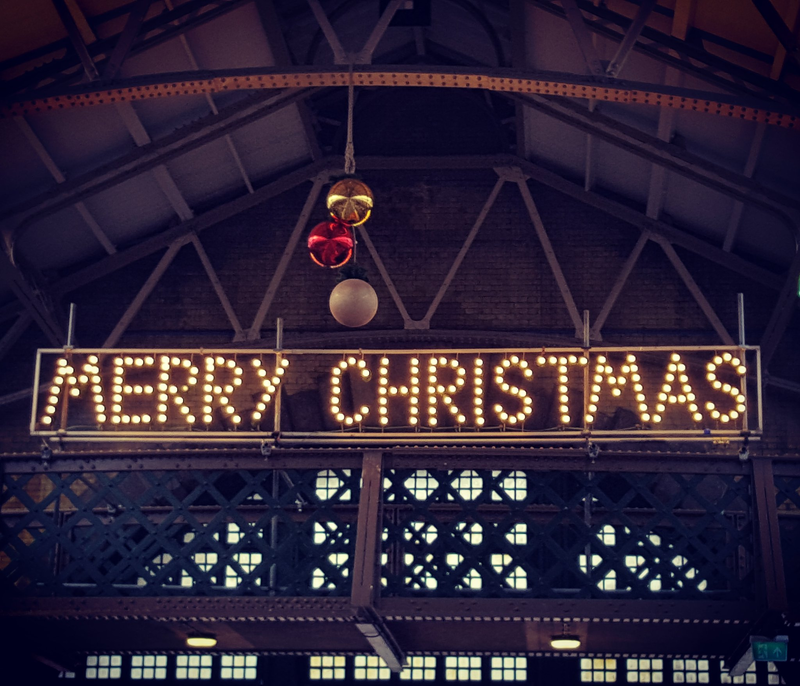 It will be back to its best, brilliantly decorated, and will contain many festively entertaining activities for all of the family to enjoy. The Operations Manager, Jamie Dann spoke on behalf of the company for the BBC Radio Bristol Interview on Monday morning. He discussed when tickets will go on sale and what will be available at the event. In case you missed it, check the clip at the end of this article as we’ve managed to get the whole interview with Emma Britton! 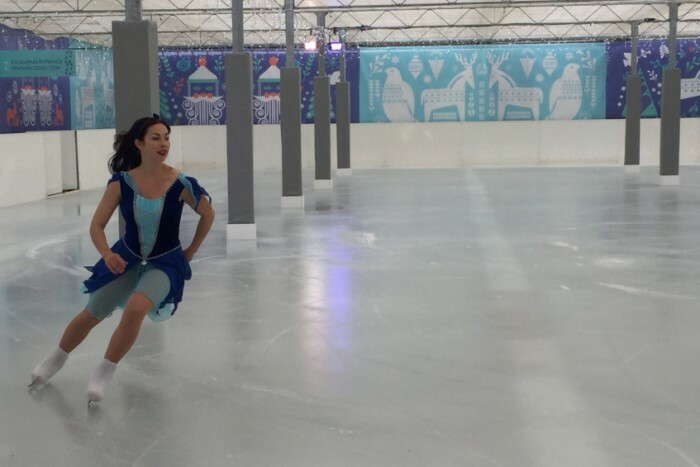 Icescape @ The Tropicana opens on the 3rd November and will close on the 7th January. Tickets go on sale very soon. 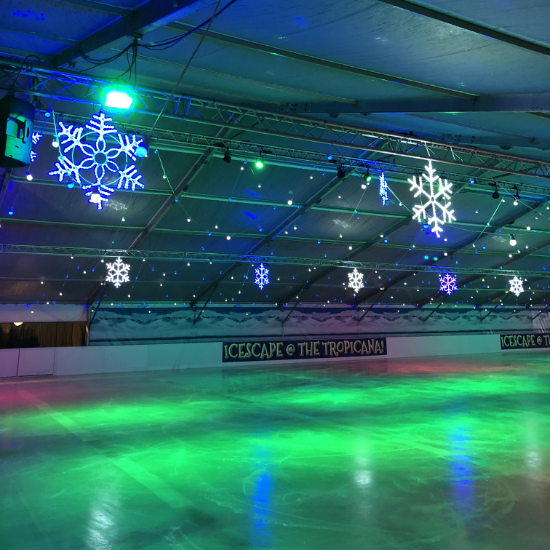 For all of the latest information on Icescape @ The Tropicana, visit www.icescape-tropicana.co.uk, and our Facebook and Twitter. 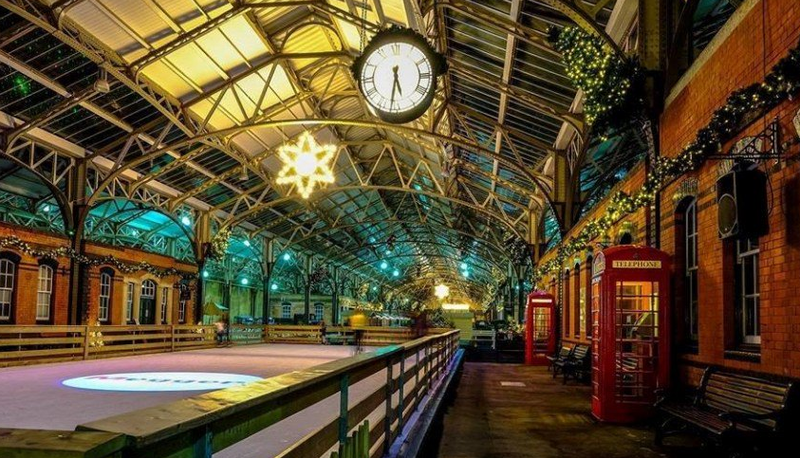 Proud to be the largest under cover winter ice rink in the UK. 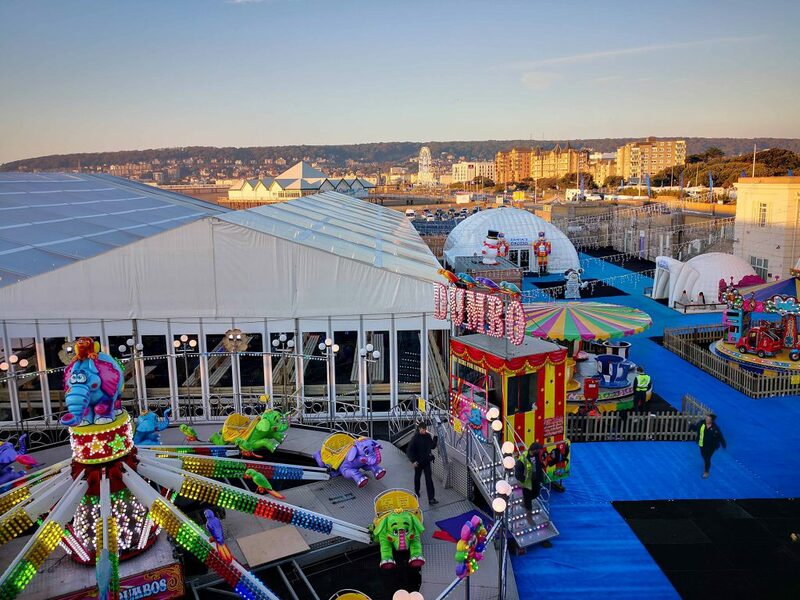 This ice rink will be able to have up to 500 people skating on the ice at any time! The covered rink means that everyone will be able to enjoy the real ice no matter what the weather is like. 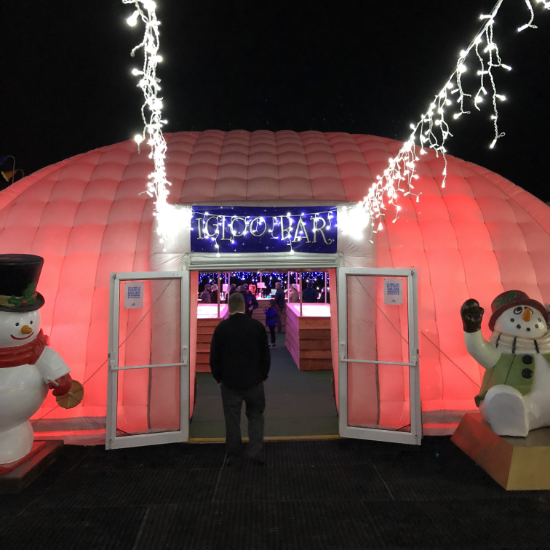 The spectacular Santa’s grotto is hidden within a North Pole themed igloo and children will get the chance to meet the man himself and take away a quality, individually wrapped gift. For the rest, there will be plenty of ice tables in the artic bar to rest your drink upon and pull up a bar stool! 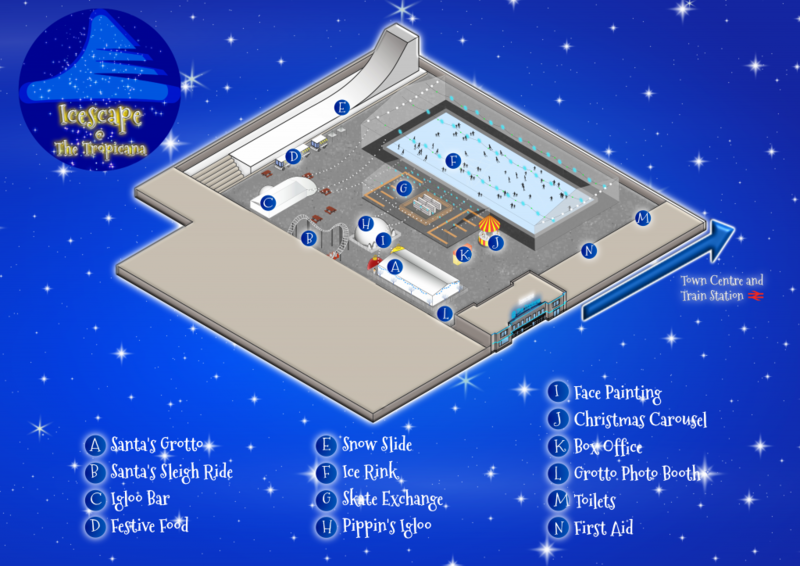 There are plenty of other attractions too, from a giant snow slide which will be located at the back of the location, to a Christmas Carousel AND rollercoaster, Icescape @ The Tropicana should keep you entertained for a while. This entry was posted in Uncategorized on September 13, 2017 by James McMillan. This entry was posted in Uncategorized on March 21, 2017 by James McMillan. 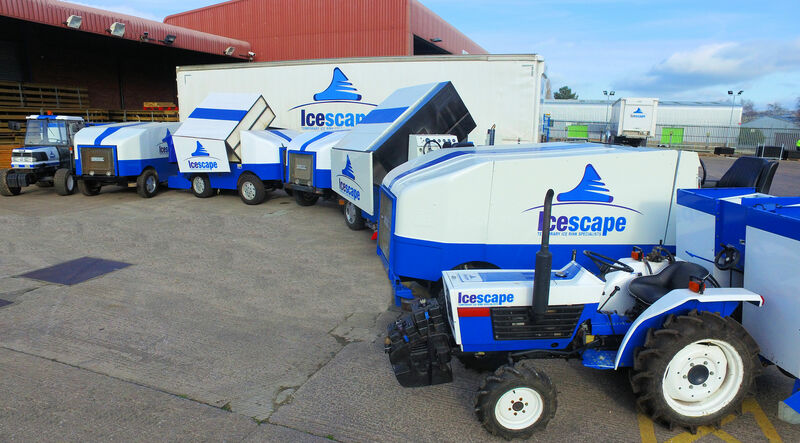 As Spring is now firmly bedding in and we leave thoughts of Christmas and ice safely behind us, the team at Icescape aren’t taking a quick break quite yet! With more artic trailers, re-surfacers and vehicles than ever before (and all in a sensible bright white), it’s a tough task to keep them all sparkling. With the addition of our new re-surfacing machines before the last season, we help to ensure the ice rink surface is kept clean and smooth. These vehicles lay down a layer of clean water, which will freeze to form a smooth ice surface, in order to give skaters a great experience. 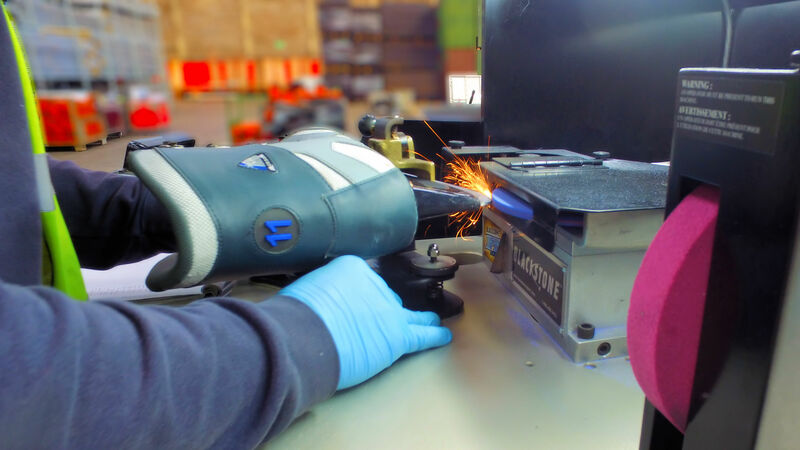 Another off-season job is to sharpen and maintain the thousands of pairs of ice-skates in our expansive warehouses. 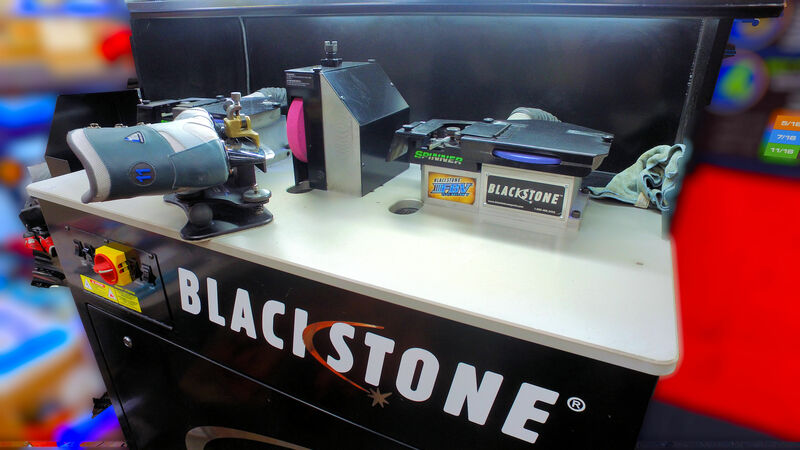 With the purchase last Autumn of a Blackstone Sports – Technology (Flat Bottom V®) patented skate sharpening system, we are able to provide our customers with skates that allow for superior endurance, enhanced agility and better control over the ice. 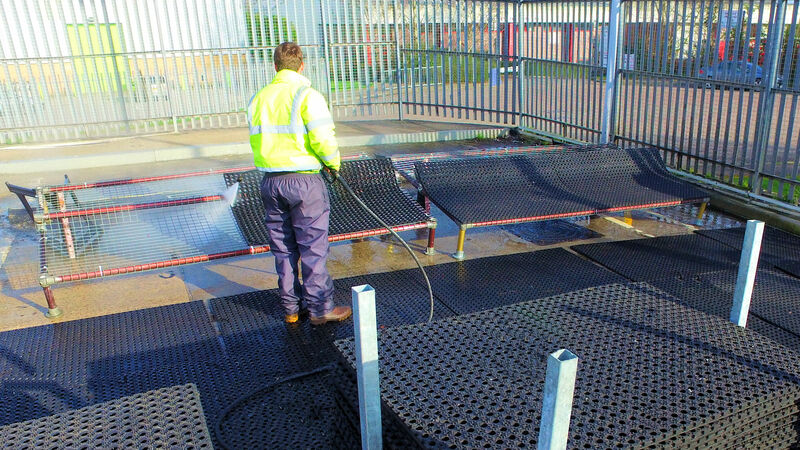 A less glamorous, but still necessary task involves blast washing thousands of square metres of rubber matting. This is used at our ice rink installations to allow skaters to walk to the rink from the skate exchange area, and back, safely and without damaging the blades. Busy, busy, busy! 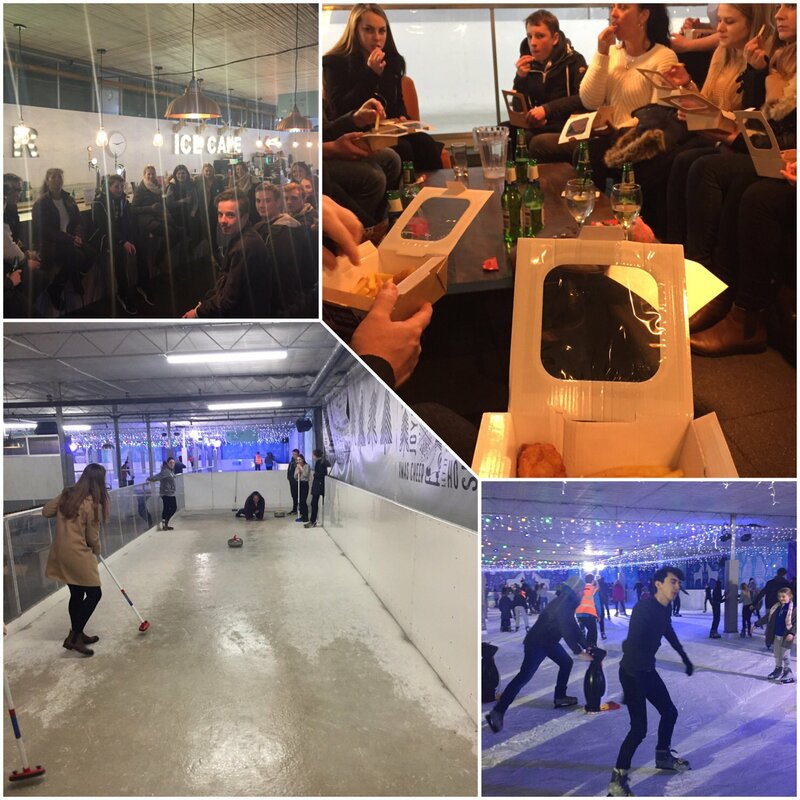 Our Icescape hospitality event is just round the corner so stay tuned for more updates on our recent antics! This entry was posted in Uncategorized on March 17, 2017 by James McMillan. Christmas may be over, and 2016 has come and gone. But all isn’t doom and gloom! 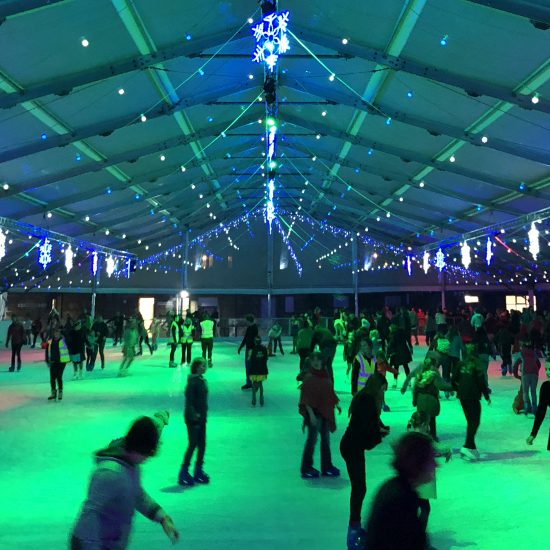 We had a fantastic season with our many temporary real ice rinks around the UK, and we’re still excited to show them all off! Twirling and Curling on Ice! 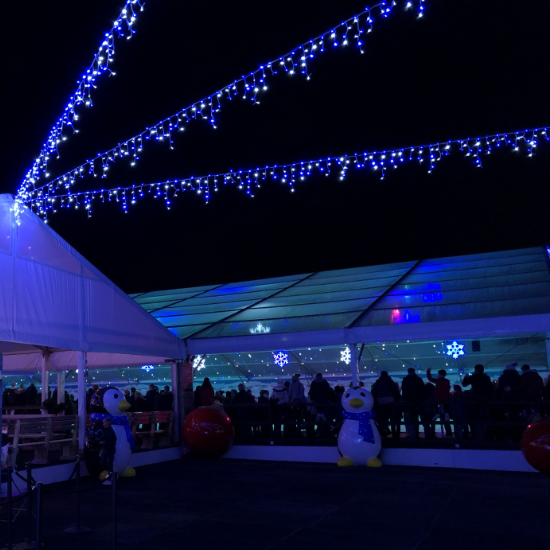 Located in Beckworth Emporium, our ice rink sits at close to 700sqm, plenty of space for you to skate with style, (or grab on to the safety barriers!). If that isn’t enough, we also built two curling lanes for up to 8 people per lane to practice their skills. Judging by the above clip, take care when curling! 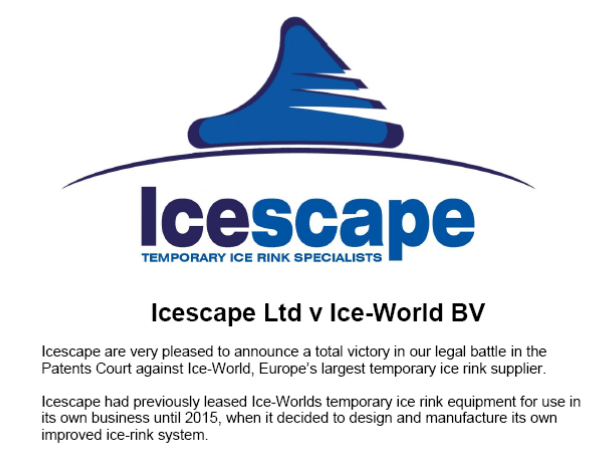 At Icescape we are able to provide a fully bespoke package for our clients’ every need. 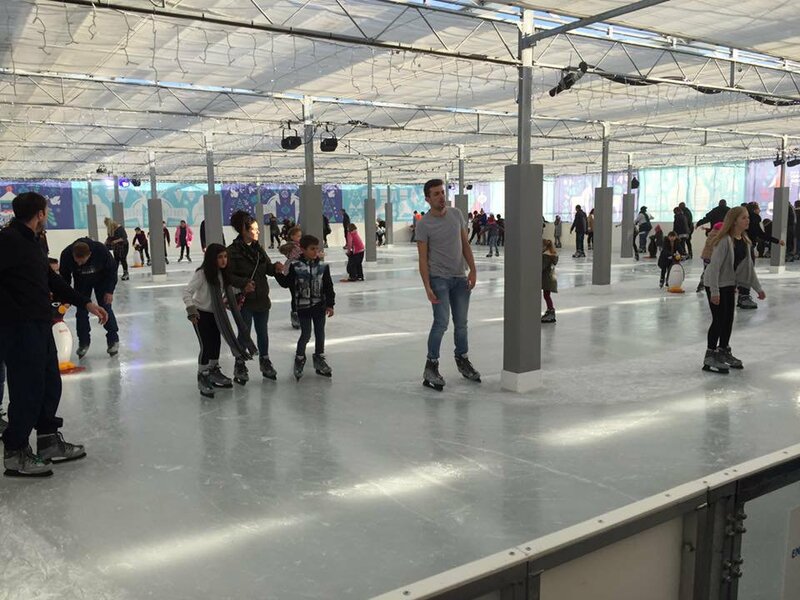 The rink itself is built inside a glass house nursery meaning that no matter what the weather is like, it won’t stop you from skating on a perfect ice surface. We pride ourselves on offering the highest standard in skating experiences. 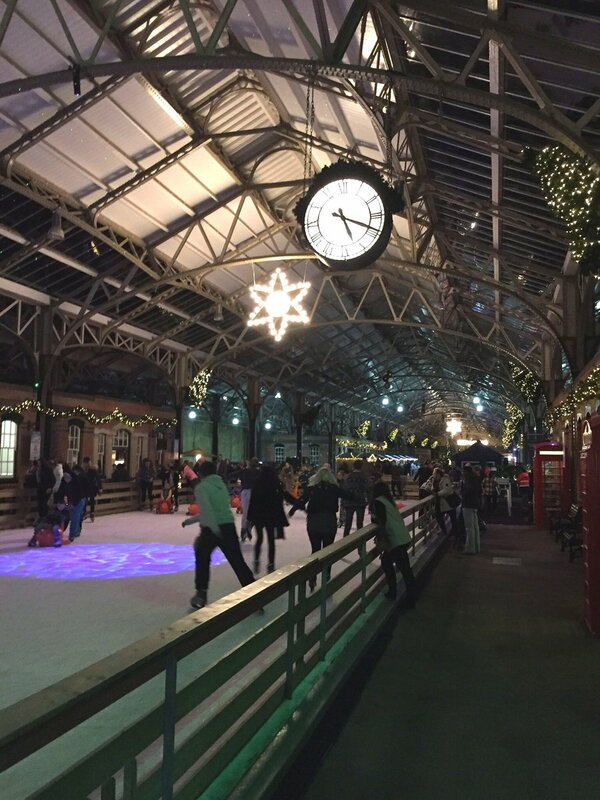 To add to the experience, lighting and music within the rink added to the already very festive atmosphere. 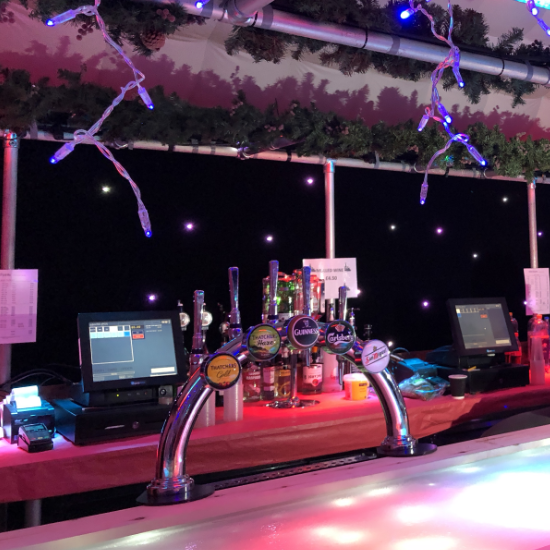 Alongside a bar and a café, with purpose built toilet facilities and VIP areas, the entire emporium was a perfect destination to enjoy the festive season as there was plenty to do. 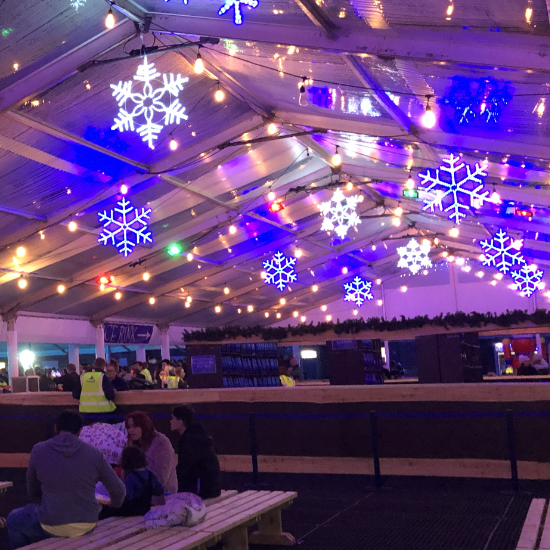 As you can see in the gallery below, hundreds of fairy lights hung from the ceiling and the ‘Ice Café and ‘Blizzard Bar’ were next to the rink for you to enjoy a large selection of refreshments to refuel or prepare you for your skating session! Due to the design of the nursery, we had to create custom cushioning pads to fit around each of the poles in the ice rink to make the skating experience extra safe for everyone! This entry was posted in Events on March 6, 2017 by James McMillan. 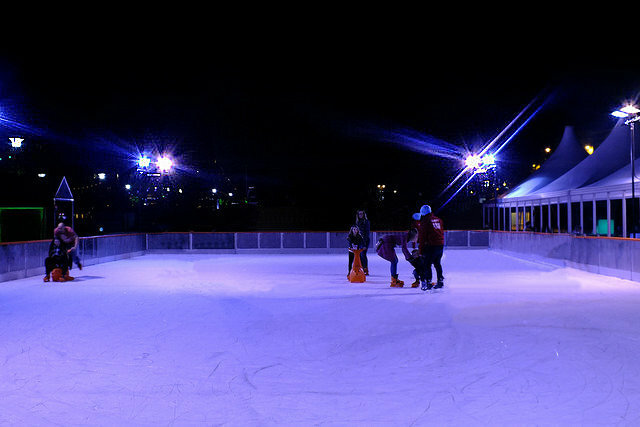 At over 600 sqm, our temporary ice rink build at Bournemouth Lower gardens could house up to 200 people at one time! A significant amount, and we are very proud to have been a part of such a great turnout. 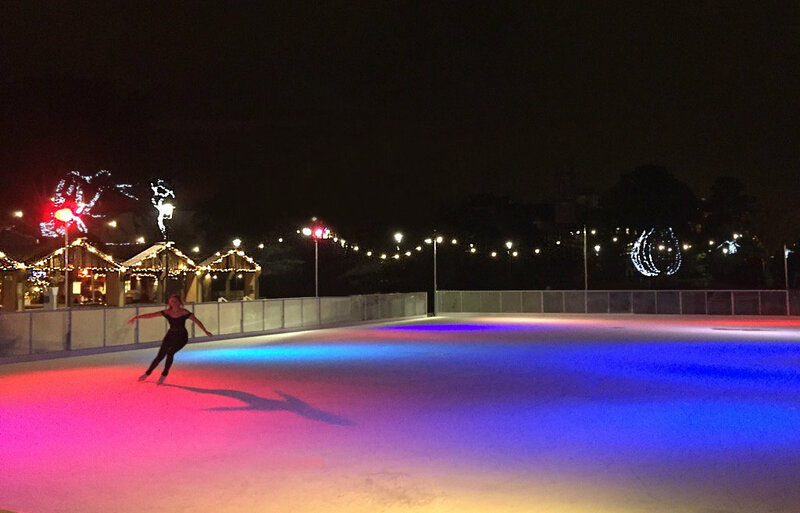 The ice rink itself is situated in Bournemouth Lower Gardens, a beautiful location all year round, and even more-so during the festive season because of the atmospheric lighting. Due to this, it is a perfect location to add an ice rink because of the number of customers passing by, meaning the rink was consistently enjoyed by many! 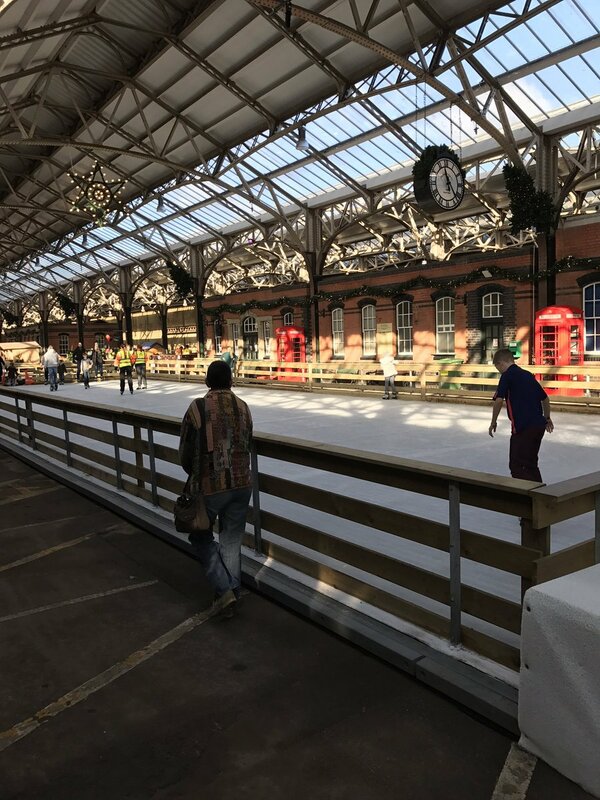 The grade II listed gardens are famous in Bournemouth, and having an Ice Rink placed here meant that we were a part of the must-visit destination in the town centre. Festive treats were on sale at the concession stands placed around the perimeter of the rink. 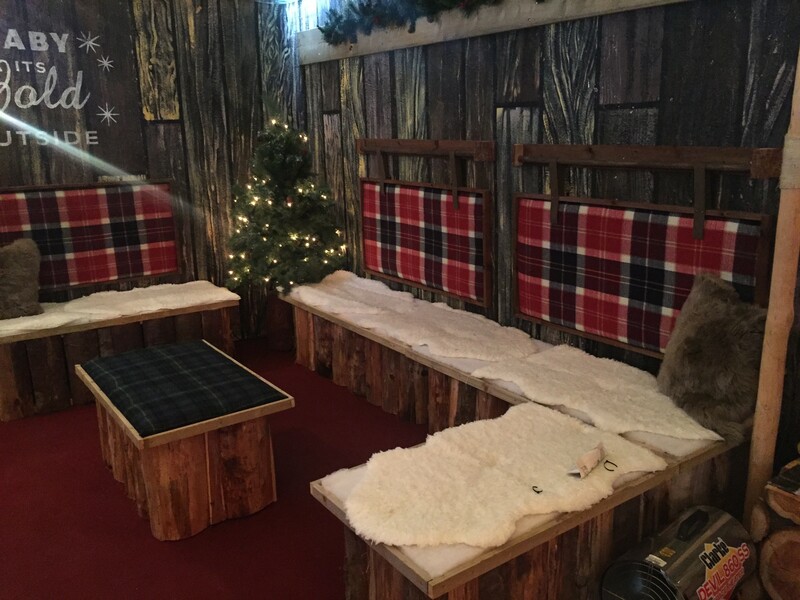 A selection of food and beverage, from beers and mulled wines to luxury hot chocolates were all available around the rustic Alpine chalets for customers to enjoy! 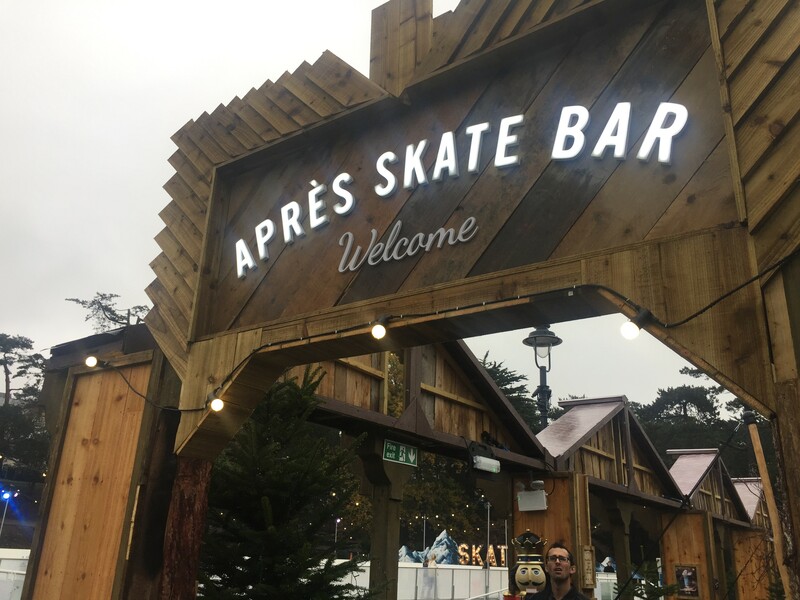 Warming up and refueling in the ‘Apres Skate’ bar before or after each session on the ice, helped everyone get into the spirit during the Christmas period. 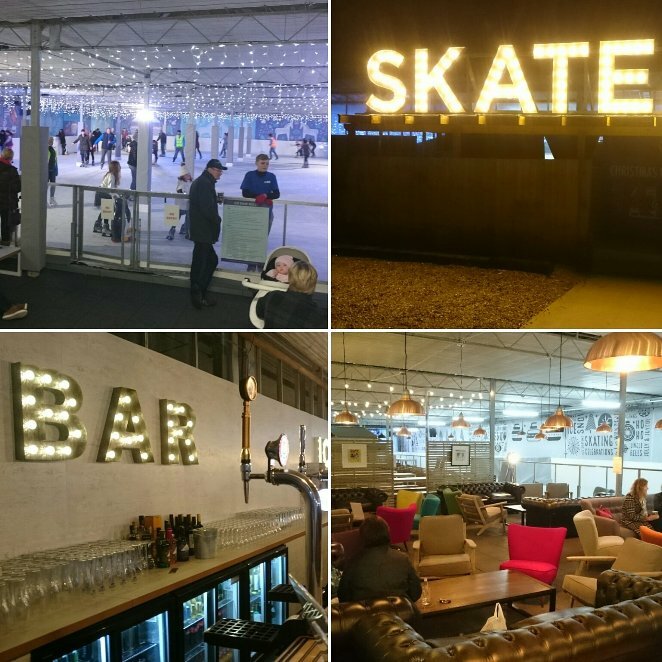 Bournemouth Gardens received ‘The Bournemouth Tourism 2016 Award-Winning “Best Night Out” Après-Skate chalet’, and it’s no surprise when you take a look at the gallery! We provided skating aids for the younger, and less confident on the ice to enjoy themselves. 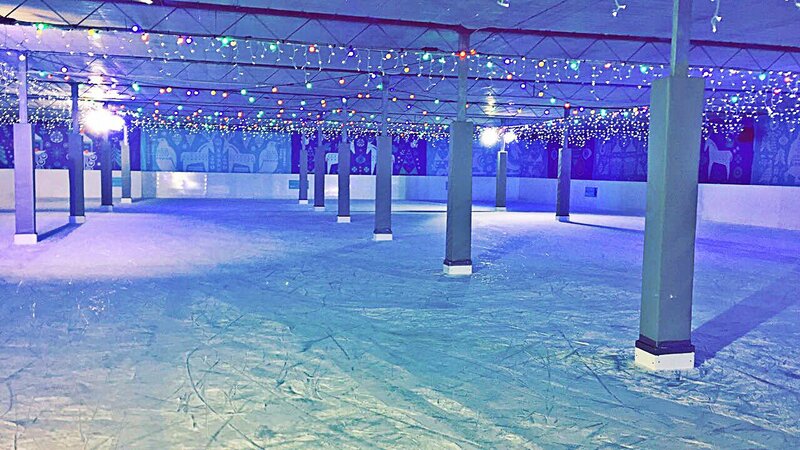 We’re sure you’ll agree that the rink looks brilliant from the pictures. We’re proud to provide a high standard product to our clients, with the option of a fully bespoke rental package to suit your requirements. Browse our website for products we offer, and more examples of our builds! This entry was posted in Events on February 1, 2017 by James McMillan.